As technology becomes more pervasive in our daily routine, our lives can truly become a tangled mess. Smartphones, laptops, PCs, printers, speakers, headphones, connected wearables and even kitchen appliances. The list is endless – nearly all of our favourite gadgets and gizmos come with a cord for power or to fully charge the device. After all, no-one wants to run low on juice on a night out with friends or when checking emails on the run between meetings. Day after day – at home or in the office – we wrestle with a pile of cords. Tripping us up, making an unsightly mess, not to mention having to lug them around on holidays and work trips to stay connected or recharge drained batteries. Fortunately, things are changing fast. Wireless power is rapidly coming to the forefront, and the tech industry is working hard to develop ways to cut the cord. This year ‘wireless power’ was the hit of CES, the world’s largest consumer electronics show held annually in Las Vegas. From fridges to health devices and cars – ‘wireless everything’ is the future. There is no doubt we are heading to a wireless society. Scientists predict that by 2020, 24 billion devices will be linked to the Internet with the majority using some form of wireless tech for access. The revolution has already started. And consumers are voting with their wallet and ‘ditching the cord’ for convenience and an easier life. Wireless power frees people from having to rely on cords at all. Imagine not having to panic when your phone runs out of power when outside the home. You can pick up and make mobile calls more readily while at work. Or even bust out the moves to your iPhone playlist at the beach. It’s clear wireless power impacts upon all areas of our lives. So what can we do now without having to worry about cords, power points and adapters? Wireless charging, smartphones in particular, is a booming market. Industry analysts MarketsandMarkets estimates the wireless charging market to reach $13.78 billion by 2020. And the expanding adoption of consumer devices such as smartphones and tablets, which requires frequent charging for optimal performance is a key driver of growth. 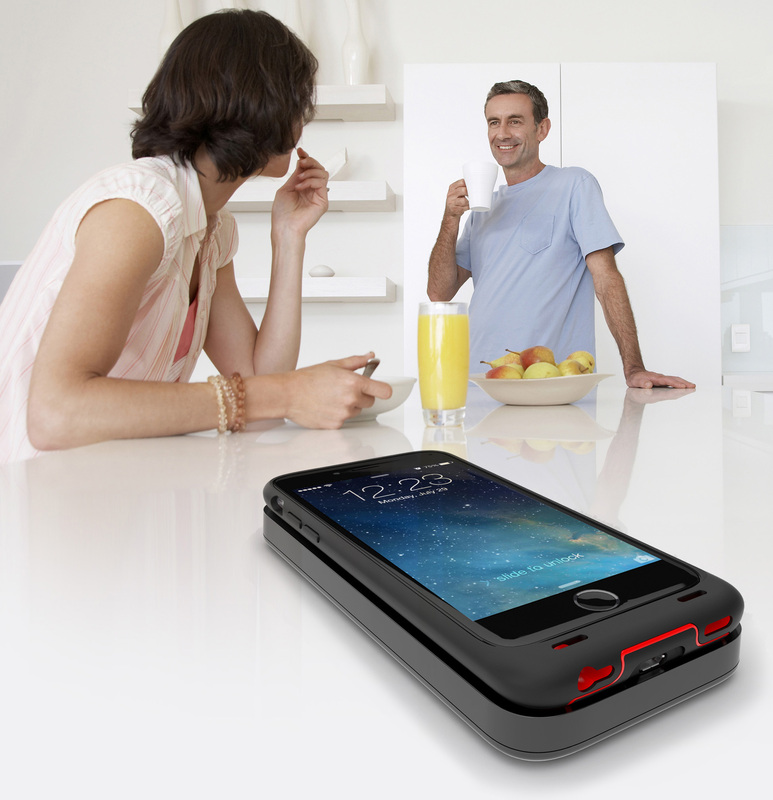 Increasingly today keeping a smartphone fully charged is easier all round. On the device front, wireless charging is rapidly becoming a necessary feature. Wireless charging products like Dog & Bone’s Good Design Award winning, Backbone – a shock proof, mobile wireless charging case and pad concepted, designed and manufactured by the Design Destiny team, are escalating. Researchers IHS say the combined global market for wireless power receivers and transmitters is expected to rise 1.7 billion shipments in 2023. You’ll also see even more hotels, bars, cafes, restaurants and food chains like McDonalds with charging stations to top up your phones. The number of Qi compatible – one of the wireless standards – has toppled 1 Million. It just makes your life easier. No cords, no horrible sinking feeling when you’re out shopping or doing business on the run, and your battery is just about to die. Today we are becoming more and more ‘unwired’ for sound. Wireless speakers have exploded in popularity. Speakers can vary wildly in size, shape and output. But they all do one thing, let you play music while keeping your smartphone or music player close by. Now you can blast your top tunes to every room in the house or enjoy your favourite songs away from home. Going hand in hand with the boom in wireless speakers is the rapid growth of portable Bluetooth headphones. The immediate benefit is getting rid of the wires winding out of your pocket, bag or briefcase, while many of the headphones even let you take mobile calls hands-free. Consumer technology is one of the more obvious applications for wireless. The next step in the evolution may be an unexpected one – the kitchen. Blenders, mixers, food processors and coffee makers can all benefit from wireless power technologies. No more stress messing with cords or worrying about electrocuting yourself. And with counter space at a premium in most homes, being able to plop your appliance down and simply hit the switch would be a blessing.